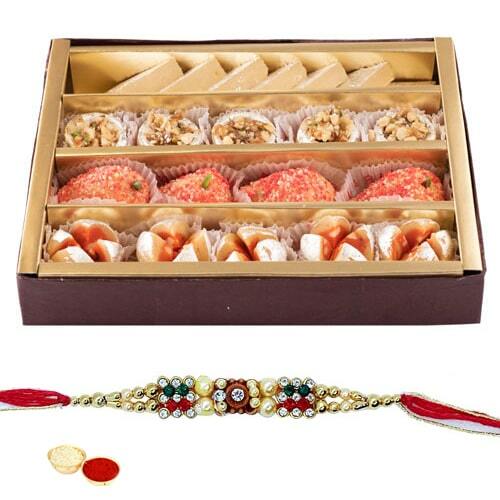 Your love for your brothers, cousins or dear ones will be defined beautifully when you gift them this Breathtaking Healthy Heartiest Rakhi Treat along with a free Rakhi, Roli Tilak and Chawal on Raksha Bandhan. Delight this Rakhi festival with this lovely Hamper containing 1 Free Rakhi along with a tempted Box of Haldiram Sweets 250 gm. wrapped up in your love.